It is only October, but that doesn’t mean we can’t think about Christmas, right? 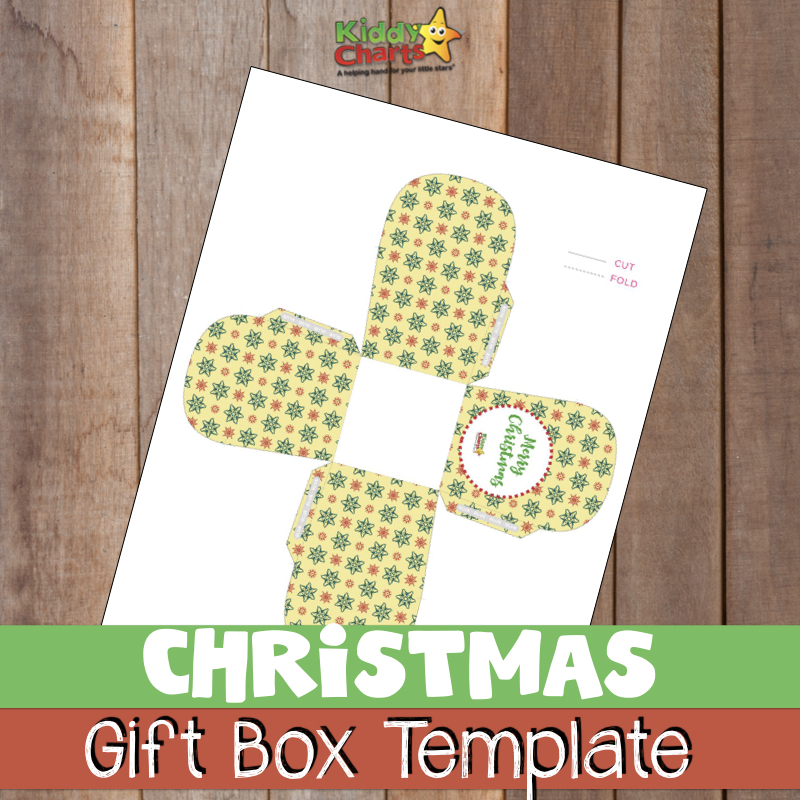 So we have some lovely little Christmas gift box templates for you today. Use them as Christmas cake boxes, or perhaps even for your Gingerbreads as well? We have a fantastic recipe for Gingerbread that we can heartily recommend! Christmas is one of THE best seasons for arts, crafts and printables. So we have a load more for you to choose from on the site too, alongside this. Why not take a look and pin them for later? Printable Christmas wrapping paper and Christmas gift tags for the kids to colour in – they’ll love this activity, and it is so nice to give presents using them too. That should be enough for you to be going on with, but do check out the other Christmas resources and articles we have when you get a chance. We really do have enough to make Christmas sorted for you. To download the Christmas gift box template – just click on the picture below and it is yours. Any problems, give me a shout. Some cupcake liner Christmas craft ideas from Easy Peasy and Fun. We rather love these three ideas, but there are plenty more on our Love Christmas Pinterest board. So why not follow it and get some more thoughts for Christmas well in advance? And if you like this board, maybe you better follow us too! Thanks for taking the time out of your busy life to read this, it means a lot. We hope that you enjoy our printables, and articles and want to come back for more. Any ideas for Christmas ones, let us know on Twitter. This is great! I love gift boxes over the typical wrapping :) Thank you! What a fun and a great idea. Love this printables box. Perfect for Holiday. These are so cute! I love doing Christmas crafts with my kids. I’ll have to check out your other projects. This is such a creative idea! So sweet and lovely. So creative! Most of my gifts for this Christmas are going to be quite big but I might try to make something similar with a large box! This is such a creative idea! That way the box can be kept and the gift inside, too! This will be perfect for my son’s preschool party! What a cute way to make goody bags a bit more festive! I am already thinking about Christmas and trying to get an early start! These boxes would be great to put little treats in for friends and neighbours. Thanks for sharing!